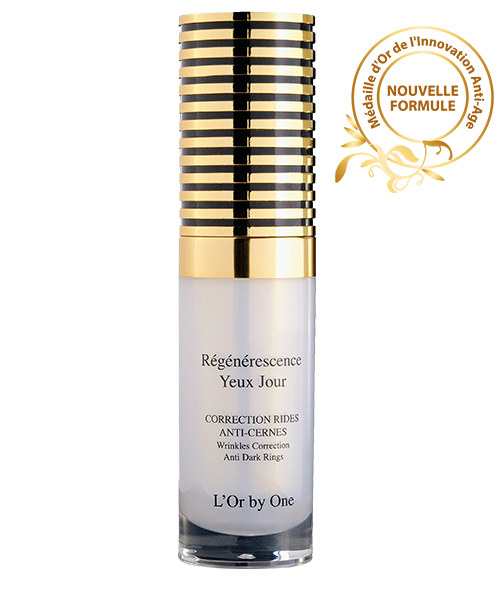 Régénérescence Yeux Jour has been specially formulated to act effectively against aging, while still respecting the fragile skin around the eyes. It visibly reduces signs of tiredness, dark circles and sagging eyelids. This fluid, smooth cream instantly soaks in leaving your skin with a pleasant sense of freshness. Imperfections are reduced and wrinkles smoothed. - The breakdown of collagen fibres in the aging process is one of the reasons for the appearance of wrinkles and the loss of elasticity. The patented and highly concentrated main natural anti-aging compound, BNF/A, actively boosts the production of collagen fibres. It acts in synergy with an active substance from baobab pulp and helps to smooth out the crow's feet and small lines around the eyes. Apply every morning around the eye, pressing gently to optimise microcirculation.